British Airways cancelled all its flights from Heathrow, Europe's busiest airport, and Gatwick on Saturday after a power supply problem disrupted its flight operations worldwide and also hit its call centres and website. London: London's Heathrow Airport said early on Monday that there were still some disruptions to British Airways flights from the airport following a global computer system failure at the airline. BA said on Twitter it would run a full schedule at London's Gatwick on Monday and intended to operate a full long-haul schedule from Heathrow along with a high proportion of short-haul service. The airline resumed some flights from Britain's two biggest airports on Sunday, but hundreds of passengers were still waiting for hours at London Heathrow. "We have mobilized additional Heathrow colleagues to assist passengers at the terminals and give out free water and snacks," Heathrow said in a statement on Twitter. 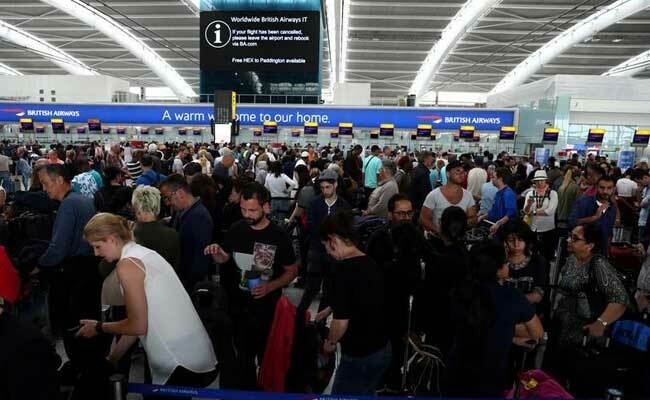 BA cancelled all its flights from Heathrow, Europe's busiest airport, and Gatwick on Saturday after a power supply problem disrupted its flight operations worldwide and also hit its call centres and website.